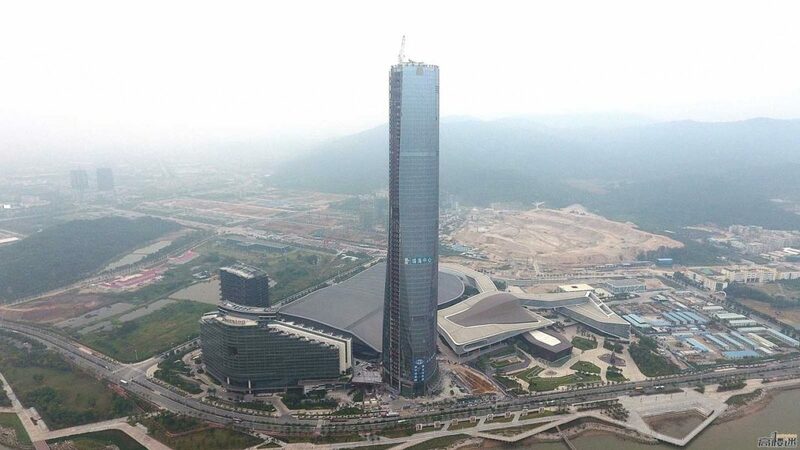 Occupying a coastal site of 26.96 hectares, the St. Regis hotel and office tower has already been recognized by the Zhuhai Government as the tallest building in the city, with the tip towering 328.8 meters above the ground. Local government figures have hailed it as “China’s new architectural landmark”, largely down to its size, environmentally-friendly credentials and plush exterior design, along with the building’s scenic connotations. Staying true to the structure’s green credentials, the heart of the site occupied by the building is a vehicular-free zone. Capitalizing on this, the immediate surrounding area has been made into a selection of verdant, pedestrian-friendly plazas. The Zhuhai Tower itself is also built on environmentally-friendly design principles, such as shading and orientation. All functional spaces, including the car parks, are geared towards maximizing natural daylight and ventilation. The St. Regis Zhuhai hotel & office tower (or the Zhuhai Tower) isn’t RMJM’s first project in the city, with other key projects including the spiraling Zhuhai Observation Tower and the multi-use Heart of Zhuhai development. RMJM’s long history and experience in China has, since the start of the millennium, given rise to projects such as China’s Merchant Bank, the Gate to the East, Zhuhai Shizimen, Shenzhen’s University Town Library and the China National Convention Centre in Beijing.